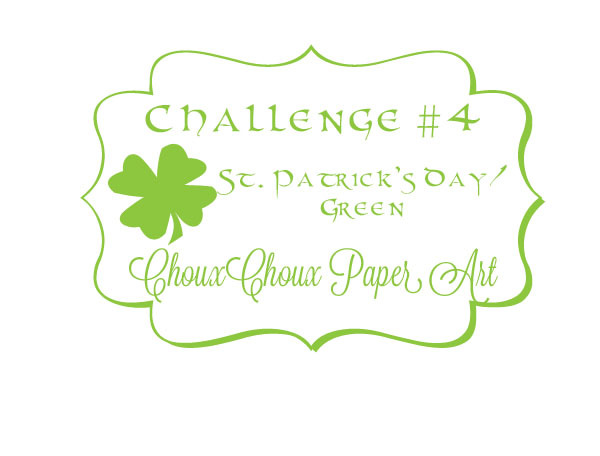 Link up any project that relates to St. Patrick's Day or has the color green. Link up by March 16th. The prize: $20.00 gift certificate to Papertrey Ink. Winner is chosen by random selection by InLinkz. You can link more than one project. Looking forward to seeing all your projects - link up! Yah--another challenge with a great prize! Thanks, Lori! This looks great, Lori! And look, Jennifer has already linked up a beautiful card! Hopefully I can make a green card for you! With all the green inspiration you provided in your latest post, I'm getting an idea! Love that hearts shamrock...I'm gonna need to make one of those! And thanks for the adorable image....now...to start planning my green card! You totally inspired me, Lori! Just linked up my green card! I think I'll be back as I have another idea! Found your wonderful blog & challenge today. Green w/ envy of the creations submitted so far. Have a BEE-utiful day! phew.... I was able to get several things linked up. of course my biggest project posts tomorrow after your party closes, but it was sure fun playing along! I always enjoy your holiday celebrations! thanks so very much! Valentine Packaging and Cherub Image!